Though codes of ethics exist in many businesses, employees still view less than truthful behaviors to be a significant ethical problem. The current study examines the related and somewhat counterintuitive issue of less than truthful behaviors intended to further organizational priorities. Such behaviors risk violating one organizational priority (e.g., adhering to a code of ethics) to achieve another. Data indicated four unique though non-mutually exclusive motivations: (1) to avoid confrontation or conflict; (2) to ensure quality in the delivery of a product or service; (3) to buy time for an organization’s strategy to play out; and (4) for self-protection or self-enhancement. 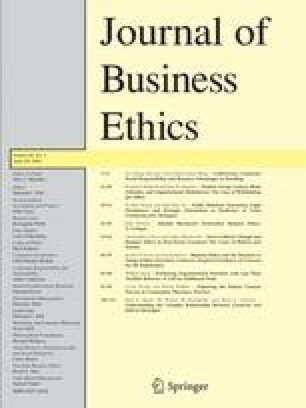 The evidence further suggests that enhanced managerial training, particularly in handling confrontation and conflicts, could reduce the contradiction between stated codes of ethics and actual behaviors.